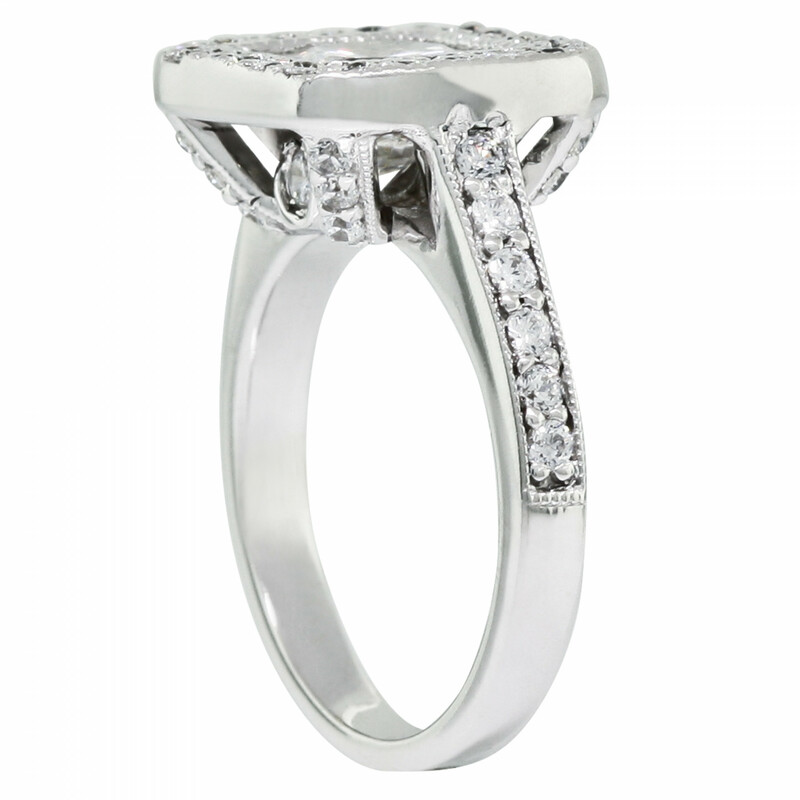 Tiffany-Inspired Halo Ring - 14k White Gold - Size 7.0 was added to your cart. 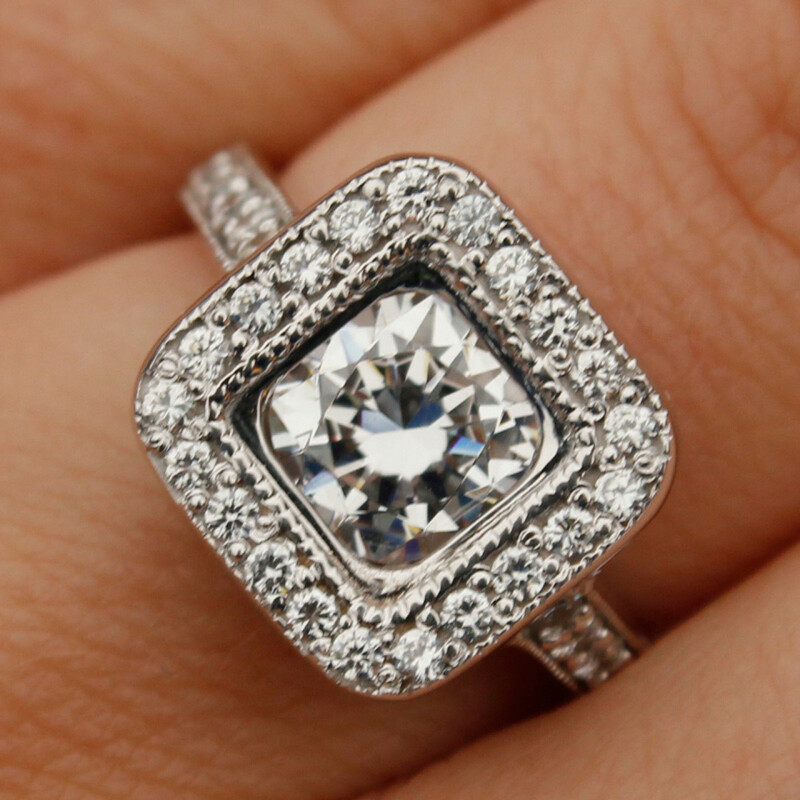 This captivating custom designed engagement ring holds a 1.28 carat Cushion cut center stone in an illusion box setting, surrounded by a square halo with soft edges for a romantic look. Inspired by the Tiffany Legacy line, this ring captures a sense of timeless elegance.